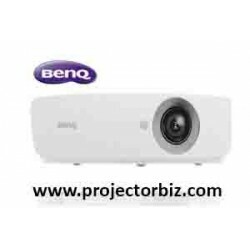 For business or pleasure, this high-quality and easy-to-use WUXGA , 20.000 -lumen Ultra-Compact projector works equally well at education environments or in the Meeting room . An WUXGA , 20.000 Lumens DLP Short Throw LED/Laser Projector with a vast range of adjustment, and BrightEra for higher quality colour and a longer lifespan. The range-topping quad-lamp PT-DZ21K2 Series—the industry’s de facto choice for staging, events, and rental applications—guarantees spellbinding image quality and reliable, cost-efficient operation. Each feature-laden model in the series has advanced capabilities to satisfy the creative and logistical demands of professional users. A unique high-power UHM quad-lamp system has allowed Panasonic to dramatically reduce cabinet volume and weight while setting the bar for brightness and image quality, particularly at events and for mapping applications. Dynamic Iris uses a scene-linking aperture mechanism to achieve high 10,000:1* contrast without sacrificing brightness. This helps to reproduce deeper, richer blacks for more immersive and lifelike imaging. Real Motion Processor interpolates images for a 120 Hz* frame-rate. Smooth, stutter-free 120 Hz* reproduction is also possible using simultaneous inputs (two 3G-SDI inputs or DVI-D/HDMI combination). Together with a refined optical engine that enhances focus, Real Motion Processor delivers a better sense of resolution, contrast, and fluidity of motion. Proprietary circuitry analyzes individual video frames to identify and clarify areas of the image containing fine details and textures. Algorithms pull information from four frequency bandwidths, from super-high to low, to sharpen outlines, correct contours, and reduce ringing noise. 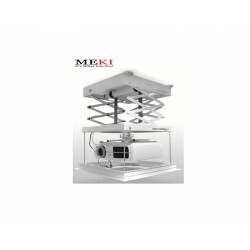 These projectors are designed to reduce the total cost of ownership (TCO) by extending replacement of consumable parts, such as lamp and air filter. Further, environmentally friendly features allow the user to reduce power consumption. To simplify and expedite maintenance, lamps can be replaced from the rear. This makes it easy to replace a lamp while the projector is still in the mounting bracket or dual-stacked. 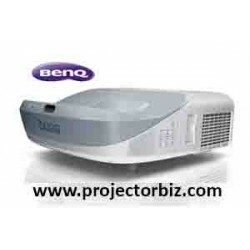 You can buy Panasonic PT-DZ21K2E online in Malaysia on www.projectorbiz.com, the best price and after sales services.